Thank you for joining us for the Birds Of A Feather Challenge and we hope you will join in with us this week too! This week we are challenging you to create a tag or something with a tag attached. 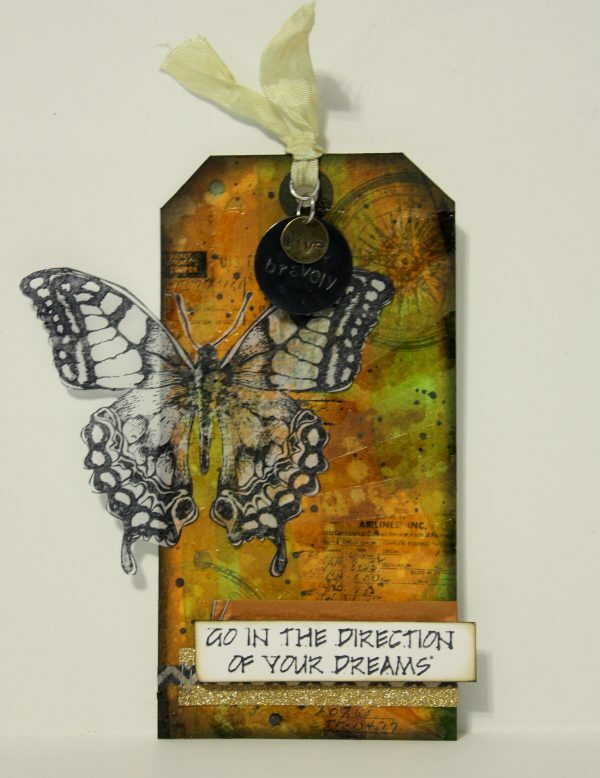 Amber made this tag using Tim Holtz’s Air Travel stamp set on the background, translucent embossing paste through the Rays stencil, and the butterfly from the Perspective stamp set as the focal point. 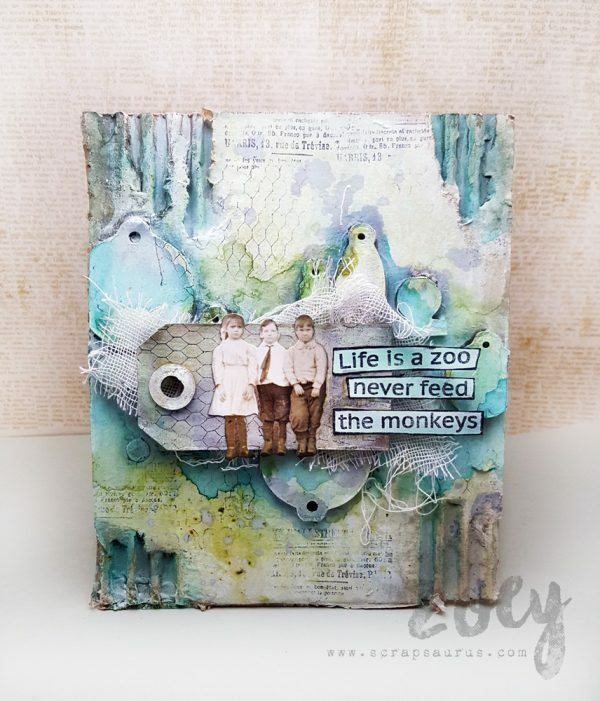 Anna-Karin did a journal page to welcome the new year. 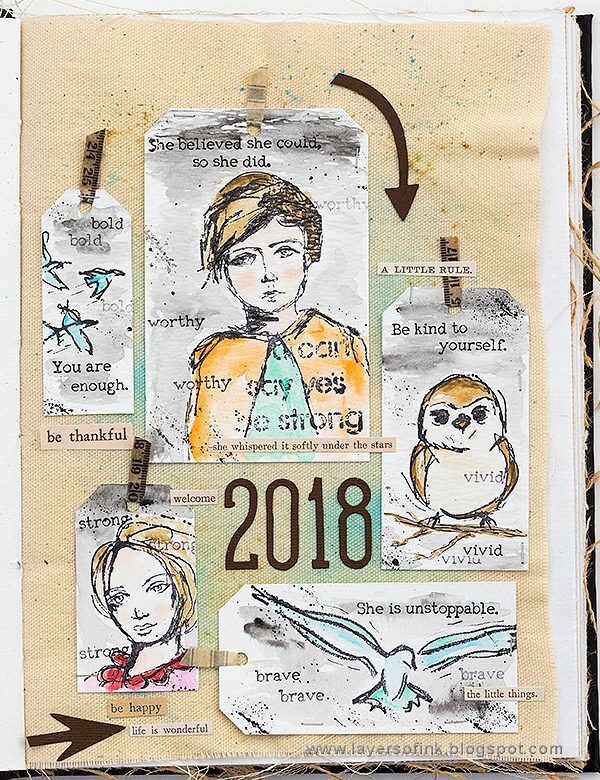 She made five different tags from watercolor paper and stamped them with various stamps by Dina Wakley, such as the Positive Women set. The images were watercolored with Dina’s Scribble Sticks. Barbara this week take her inspiration from Steampunk style. 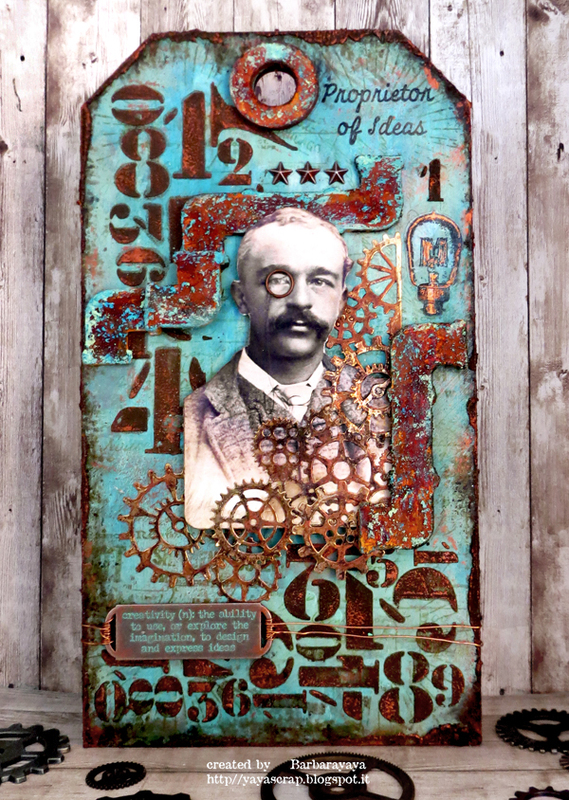 She created an Etcetera tag using a lot of Tim Holtz, Stampers Anonymous and Sizzix products: Pipeline Bigz Dies, Gearhead Thinlits Die, Noble gent Set, Tim Holtz Layering Stencil Numeric. 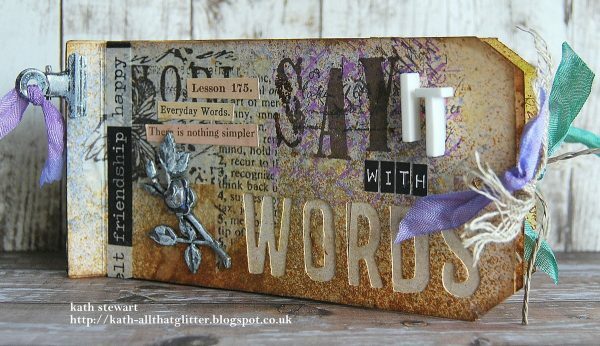 Cathie created a tag with an embossed background using Wendy Vecchi White Embossing Paste and the Tim Holtz Ledger Script background stamp. The flowers are from the Tim Holtz Mini Bouquet stamp set and cut out using the Flower Garden and Mini Bouquet Framelits wafer dies. Emma is thinking ahead to Valentine’s Day and created a tag full of love. 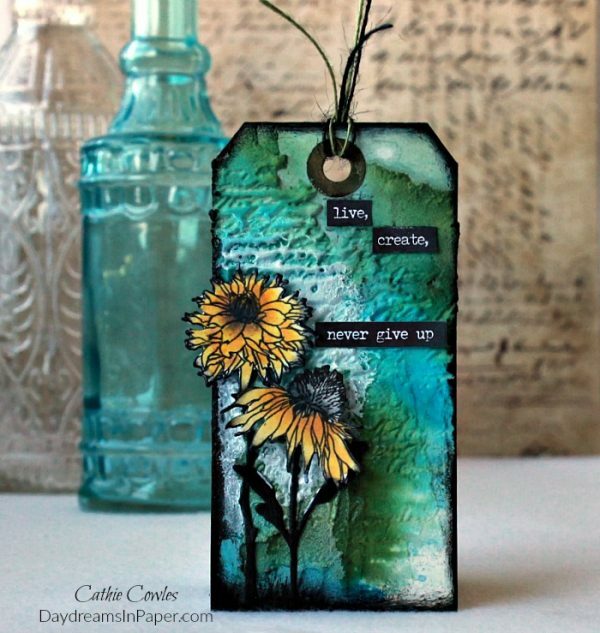 She created a background with Distress Oxide Inks and then added layers to the tag using many Tim Holtz products, including Heartfelt die, the Regal Adornments and Quote Chips. Lols made a tag to attach to her brother’s 60th birthday gift! 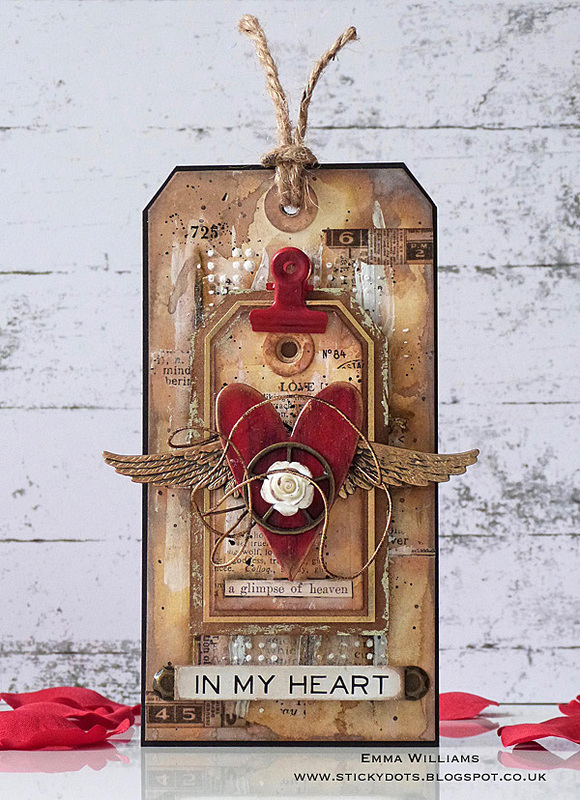 She started by white heat embossing the Tim Holtz Graph Background, creating a resist for the Distress Oxide Inks. 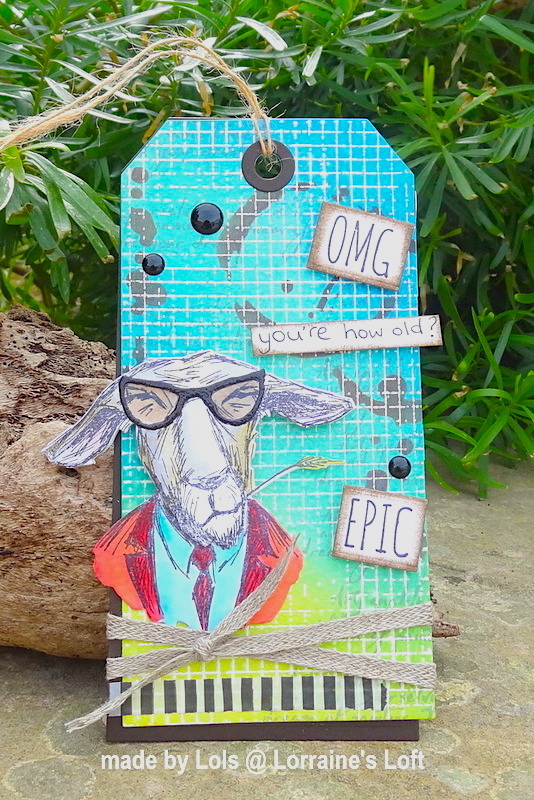 She used a cute Goat from a Tim Holtz Hipster Stamp Set along with the coordinating die set as the focal point of the tag. Macarena has tried a technique of building the background texture with lace, she colored it with Ecoline Liquid Watercolors and added a bit of Wendy Vecchi Crackle Paste. 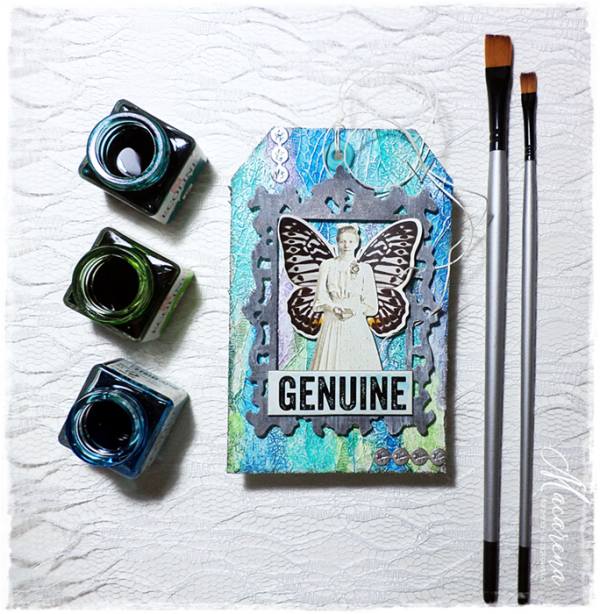 She embellished her tag with Sizzix Ornate Frame and Idea-ologyPaper Doll. 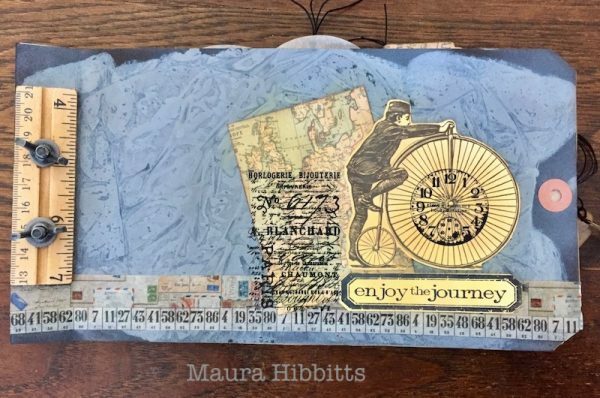 Maura made a Travel Tag Book for art journeys, using the Tim Holtz Sizzix Framelits Tag Collection, along with Tim Holtz French Industrial papers, and Cityscape stamps. 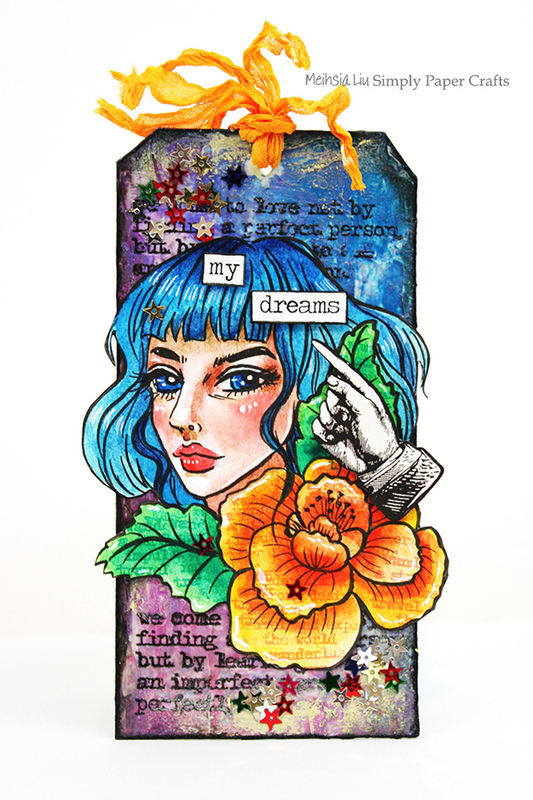 Meihsia was inspired to create a mixed media tag with her girl illustration using Sakura Pigma Professional Brush Pen and colored it with Sakura Koi Watercolors Sketchbox. 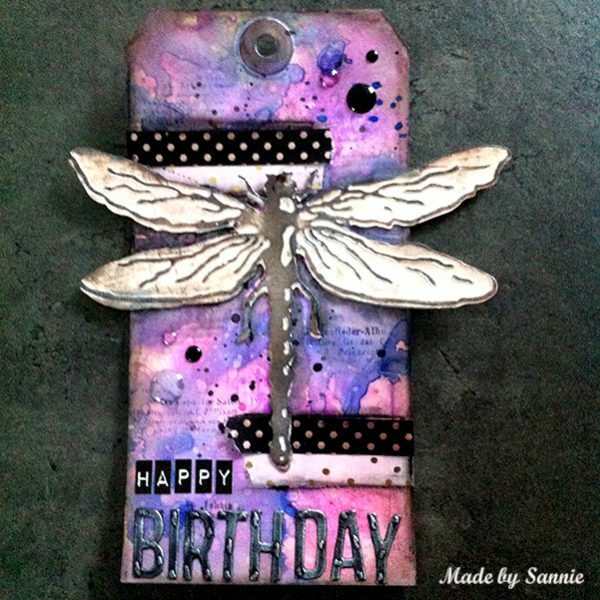 Sandra made a birthday tag for her teammy, using Distress Oxide and Inks together and used Nuvo Mousse Pure Platinum made in a spray in stead of water. Thank you for the wonderful ideas. Especially like Amber’s butterfly tag and Kath’s words tag. Beau travail de l’équipe de design. Nice job of the design team. Hello, OOOOH, super fun! Does posting on Instagram with the hashtag get me entered into the drawing? Such gorgeous examples with you designers!